There are many answers to that. How did we get here physically? By train, then plane, then subway, and most recently: a long car ride to Florida. My family, as well as my husband’s family, are immigrants from the former Soviet Union. 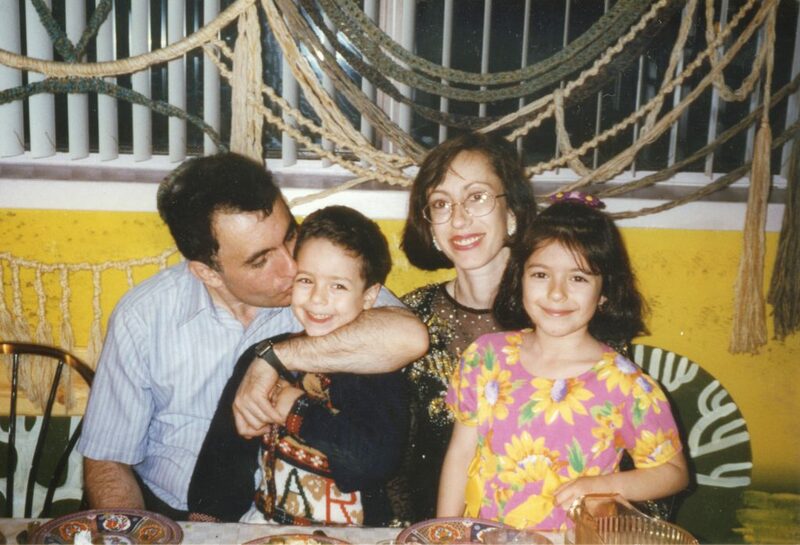 My family was sponsored by HIAS to come to New York in the 90’s. What the means is that they vouched for us to come into the country, promising that they would help get us on our feet in the U.S.A. I remember many Thanksgiving that featured, instead of turkey, roasted chicken, rice pilaf (we call it plov), and tomato and onion salads. Even after 24 years in this country, this cuisine is still pretty much standard in our homes. Maybe we had turkey early on, but I can’t for the life of me remember when we actually started putting it on the table. There was no mac and cheese here. Inside our home no one looked twice at a salad compromised of diced potatoes, eggs, peas, pickles and a healthy coating of mayonnaise. Obviously we learned about “American” foods from our friends over time, but it didn’t change how we envisioned our holiday. What did food matter when this was always a holiday to be grateful? Who could understand that more than a family of immigrants (and technically refugees)? We were always thankful, especially during this holiday. So now we eat turkey in addition to everything else, and the contrast of our traditions and “American” culture is basically the theme of my life. How much I feel that depends on where I’m living and who I’m surrounded by. It’s a feeling that immigrants understand because it’s impossible to escape. Whether you’re native born or an immigrant to the United States, Happy Thanksgiving! It’s more important than ever to share and embrace all the cultural variations that our country creates and encourages. Let’s remind ourselves and our friends to be thankful for where we are and to always leave a seat for someone at our table who might want to be thankful too. Would you give back to your college? You know that feeling that comes right before the “holiday season” that inevitably leads to excessive shopping and anxiety? Well, this year Thanksgiving and Hanukkah start on the same day. There are two easy answers here, the lovely Visually infographic below, and going on a family vacation where margaritas are allowed for dinner. Enjoy your food comas everyone! What’s it like in space?